Our bestselling AirSense 10 AutoSet Machine is now available interest-free for only $299 down and 12 monthly payments of $52.00! Have you been previously diagnosed with Sleep Apnea and need a Prescription? We've got you covered. Select CPAPRx from the dropdown below to get a prescription in less than 2 business days! 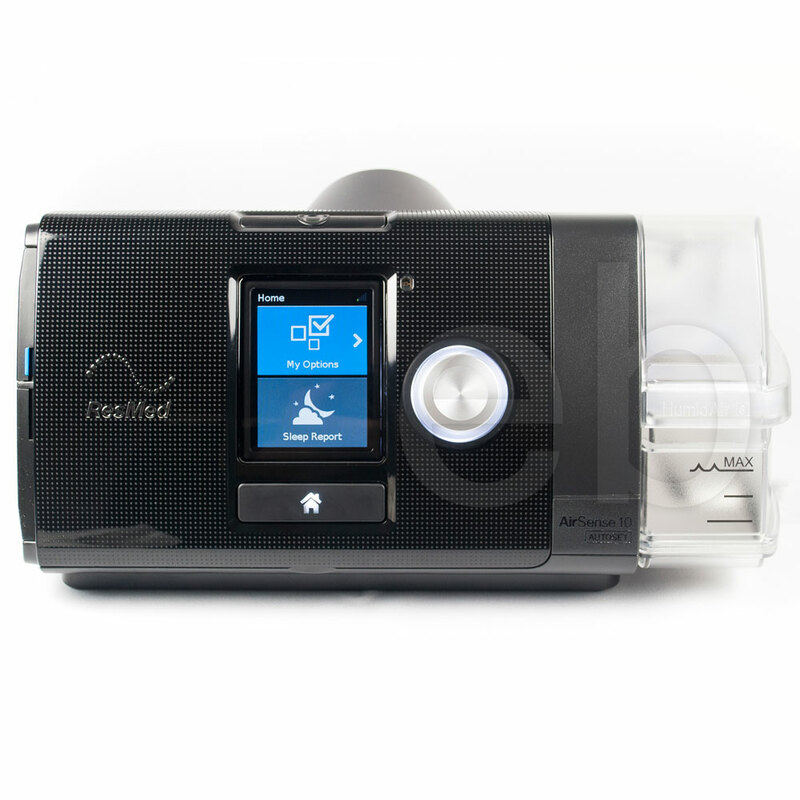 The all-new CPAP machine from ResMed is also the first "Smart" CPAP. 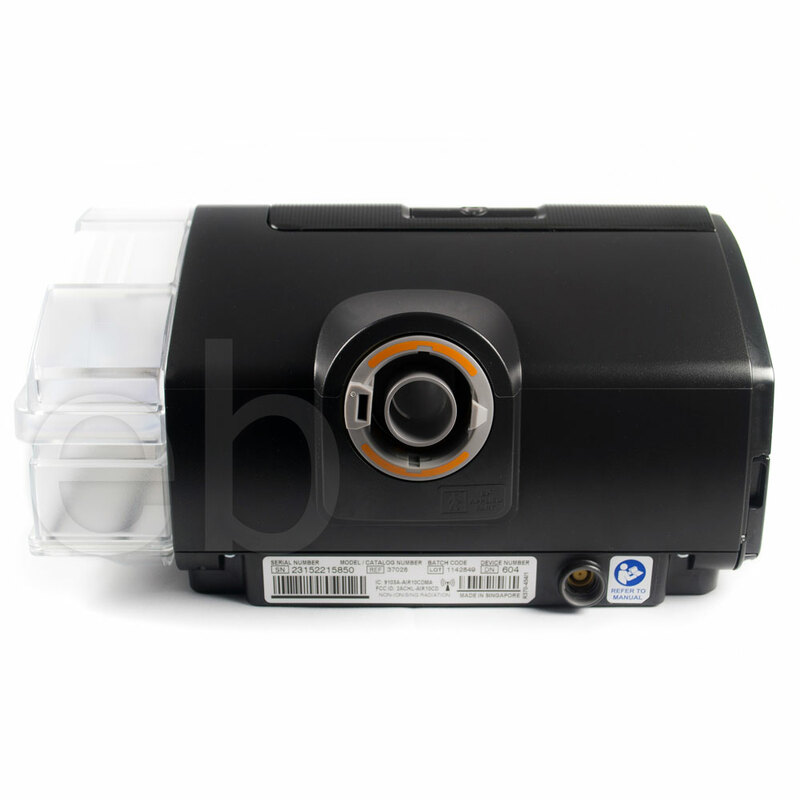 Its advanced features give you the ability to monitor and manage your CPAP therapy with ease. The built in cellular modem makes it easy to get sleep reports and to have your settings adjusted. 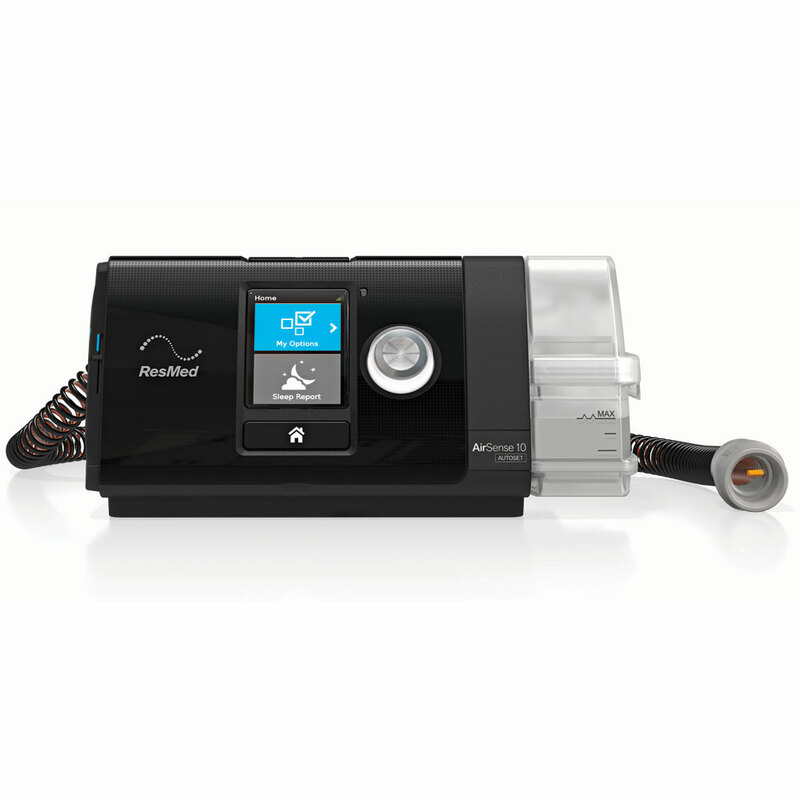 The Airsense 10 is also the first CPAP system to incorporate wireless cloud computing, it is the first CPAP machine that offers personalized and customizable support, and it is the first system with advanced sleep onset detection. Using AirView™, you can access nightly therapy data. Easy Breathe or your doctor can troubleshoot remotely and change device settings remotely. 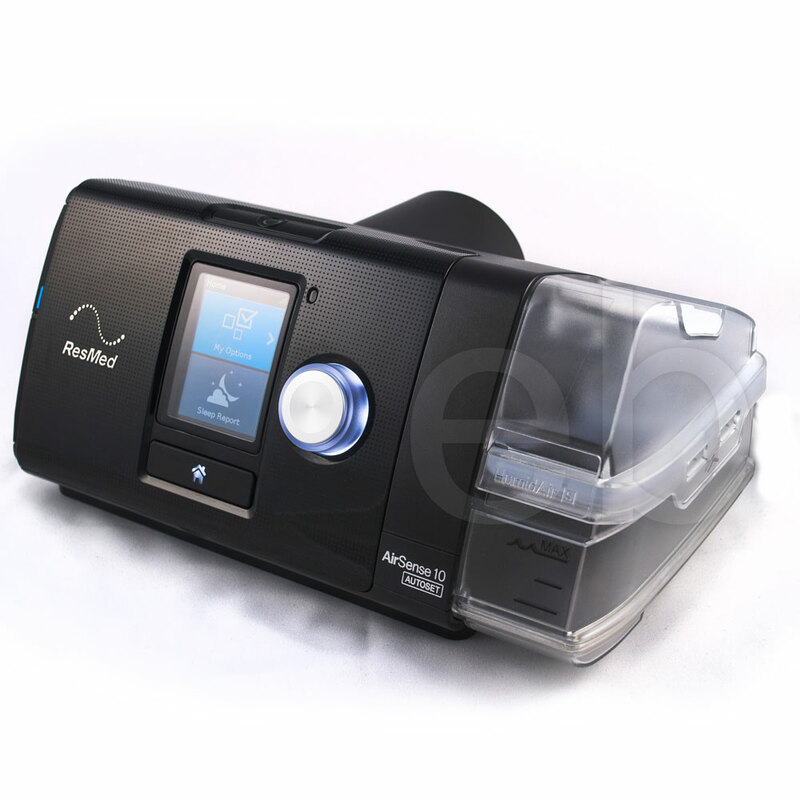 Expiratory pressure relief (EPR) maintains the optimal treatment pressure during inhalation and reduces pressure during exhalation, increasing comfort. AutoSet Response comfort setting offers gentler pressure increases and a smoother night’s sleep. Built-in ambient light sensor adjusts brightness of the screen based on the light in the room and turns off automatically. The AirSense™ 10 and AirCurve™ 10 devices meet Federal Aviation Administration (FAA) requirements for all phases of air travel, so you can safely take your device on board as carry-on luggage. 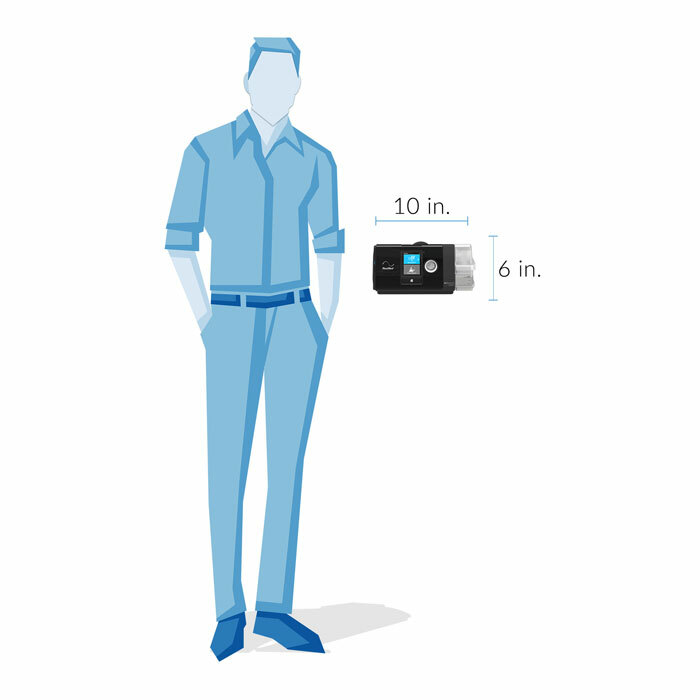 The AirSense™ 10 and AirCurve™ 10 devices are compatible with all international power sources. All you need is a set of plug adapters and you can use your device anywhere that has a power outlet. The chamber should be taken apart and hand washed weekly using warm water and a mild detergent. It should be rinsed well and allowed to air dry out of direct sunlight. The chamber should not be washed in a dishwasher or washing machine. The hose should be washed in the same manner and allowed to completely dry out of direct sunlight. The exterior of the machine should be wiped down with a dry cloth. When using your device on an airplane, make sure the water tub is completely empty and inserted into your device. Do not use your device with water in the tub during air travel to avoid the risk of water inhalation and spillage during turbulence. Ensure humidification is turned off. Ensure Airplane Mode is enabled.